Skin irritation after shaving is quite a common problem, especially for men with sensitive skin. However, if you do it properly and pay attention to detail, you can avoid this happening to you. 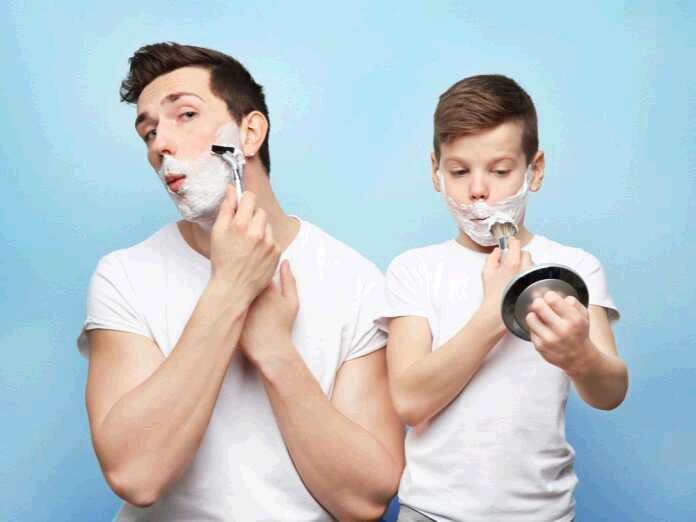 Here are some shaving tips for men with sensitive skin. One of the main reasons why men go through post-shaving breakouts is dry skin. Apply a moisturizing lotion every day and keep your skin hydrated to avoid damage. Shaving against the growth of your hair will not only cause skin irritation, but it can also lead to more serious problems like infected ingrown hair. Make sure your razor movements follow the direction in which your hair grows, especially if you have sensitive skin. Shaving your beard can be especially hard if you have stronger hair. You can soften the hair by soaking a towel in hot water and pressing it on your face for a couple of minutes before you start shaving. You can also take a warm shower. As you shave, your hair and excess cream will get stuck between the blades of your razor. Rinse the razor in the sink every couple of strokes so you can shave without pressing too hard. You should also change your blades frequently, particularly if you have dry skin. After shaving, you should rinse your face with cold water, as this can help reduce inflammation. Make sure you’re using an aftershave lotion or balm that’s made for sensitive skin. So, there you have it – the most important shaving tips for men with sensitive skin. Follow these five tips and you’ll be highly unlikely to experience skin irritation after shaving.